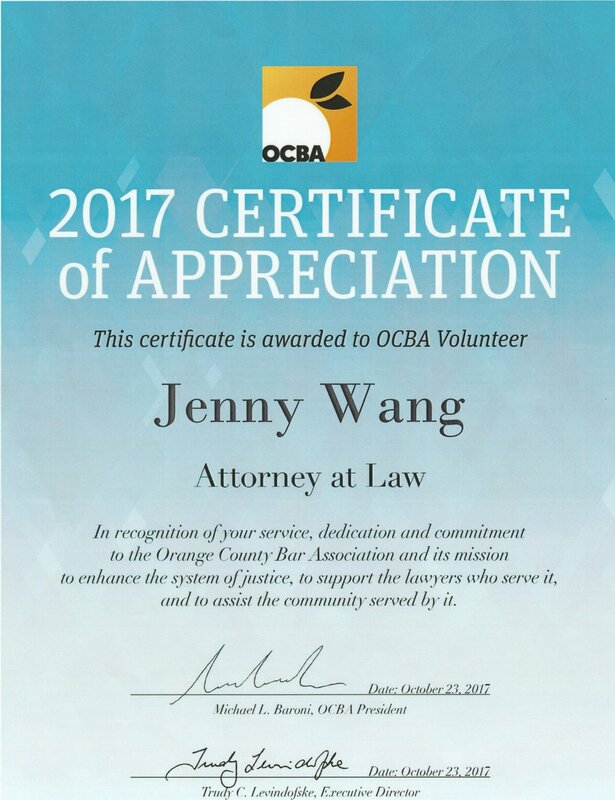 Volunteering — Jenny Wang, Esq., LL.M. When I made the decision to start my own law practice, I was able to volunteer my time to causes that interest me while allowing me to help others. Over the last several months, I have been serving every week to help individuals at the Chapter 7 Bankruptcy Clinic hosted by the Public Law Center and the Orange County Bar Association. I also serve as a volunteer attorney by providing assistance to the residents of my own community in the City of Cerritos. I spend time and meet one-on-one with local residents to answer any questions that they may have and provide counseling where needed. Helping those who seek legal advice via the clinic or the local community has been a gratifying experience because I believe that quality legal advice will make a big difference in a person's life, and access to that service should not be limited to those who can afford it.